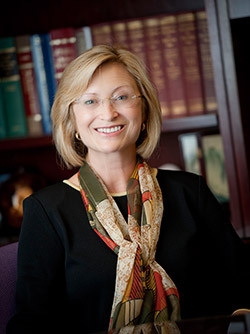 From her unique perspective as Vice Chancellor for Research – overseeing more than 20 organized research units among other duties – as well as a faculty member with decades of research experience, Sandra Brown says that the most striking change she has noticed in the university’s research enterprise over the last 10 years is the rise of new research combinations, the “strengths across disciplines” touted by the Chancellor. While “interdisciplinary” and “multidisciplinary” have been used to describe UC San Diego research since our inception, Brown is referring rather to such startling new avenues of discovery as “medicine from the sea,” where oceanography, pharmacology, biology, supercomputing and engineering, for example, collaborate in novel and surprising ways to solve real-world problems. Partly this is due to our ability to peer deeper and deeper into the dazzling buzz of matter and energy, so that the traditional lines between chemistry, nano-biology and physics, say, grow blurred. It’s partly because funding is much more competitive now, and broader projects might attract better success. But it’s also because scientists and scholars quickly recognized that those blurred lines could be liberating, and lead to break-through syntheses and solutions. Add in the multiplier-effect benefits of tools and expertise now available to them via modern technology (virtual meetings from anywhere on the globe, immersive 3D “excursions” into computer-generated realms, astonishing computing power in the simplest of hand-held devices), and UC San Diego research teams are soon wearing coats of many colors. Our organized research units (ORUs), she says, illustrate the decade’s most notable development in research. The Kavli Institute for Brain and Mind, for example, knits together neuroscientists, cognitive scientists, psychologists, linguists, anthropologists, physicists and engineers – a lab coat of many colors, indeed. Key to the success of these kinds of “creative hybrids” is that the swiftly developing – and permanently transforming – trend is being built into the university’s grand strategic plan launched by Chancellor Khosla as one of the first initiatives of his still-young tenure. The “simple” study of algae is an excellent example of the grafting, splicing, and inter-twining of scholarship and sciences now customary in every endeavor. Vice Chancellor Brown’s office is situated, suitably enough, in the very center of campus – significantly, perhaps, between the Prebys Music Center and the Stein Clinical Research Building. Both music and medicine, among a host of other mingling currents, are in the air.